The gallbladder is a sac located under the liver. It stores and concentrates bile produced in the liver. Bile aids in the digestion of fat, and is released from the gallbladder into the upper small intestine in response to food (especially fats). The majority of cases, gall bladder disease is caused by gallstones. Gallstones are formed due to the excess of cholesterol in the bile or incomplete emptying of the gall bladder. Sometimes, gallstones are formed when the gall bladder removes too much water from the stored bile. Gallstones are solid formations that accumulate inside the gall bladder, blocking the access of the bile. 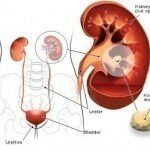 The diseased gall bladder can’t sustain its normal activity and the process of digestion is perturbed. Surgery to remove the gallbladder is the most common way to treat symptomatic gallstones. (Asymptomatic gallstones usually do not need treatment.) Each year more than 500,000 Americans have gallbladder surgery. The surgery is called cholecystectomy. 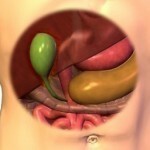 The most common complication in gallbladder surgery is injury to the bile ducts. An injured common bile duct can leak bile and cause a painful and potentially dangerous infection. Mild injuries can sometimes be treated non-surgically. Major injury, however, is more serious and requires additional surgery. Nonsurgical approaches are used only in special situations such as when a patient’s condition prevents using an anesthetic and only for cholesterol stones. Stones recur after nonsurgical treatment about half the time. Oral dissolution therapy. Drugs made from bile acid are used to dissolve the stones. The drugs work best for small cholesterol stones. Months or years of treatment may be necessary before all the stones dissolve. Contact dissolution therapy. This experimental procedure involves injecting a drug directly into the gallbladder to dissolve stones. 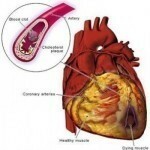 The procedure is being tested in patients with symptomatic, non-calcified cholesterol stones. Extracorporeal shockwave lithotripsy (ESWL). This treatment uses shock waves to break up stones into tiny pieces that can pass through the bile ducts without causing blockages. Attacks of biliary colic (intense pain) are common after treatment, and ESWL’s success rate is not very high. Remaining stones can sometimes be dissolved with medication.